This sculpture is the maquette for the monument grizzly. 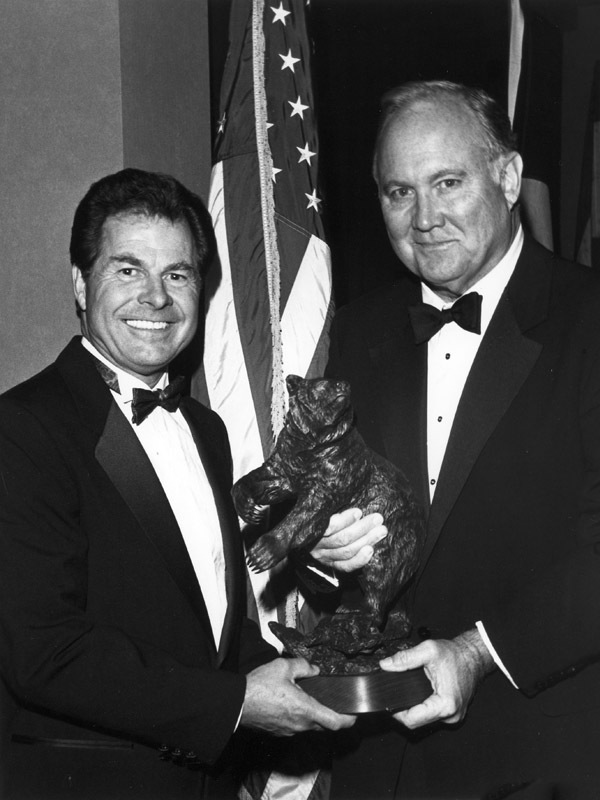 The first edition was presented to General Norman Schwarzkopf, known as “The Bear,” after his victorious service as commander of the Allied Forces in the Gulf War. 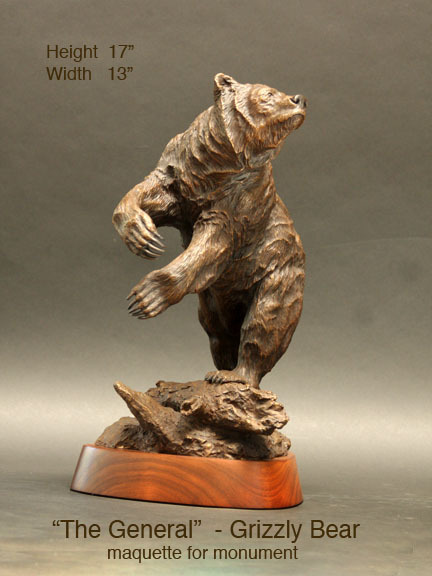 The maquette is offered in 3 sizes. The General, The General II and Mini General. 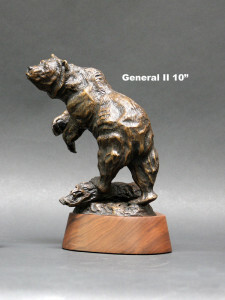 More recently the General II has also become known as the Cal Bear and are presented as gifts to the graduating seniors on the football team at UC Berkeley. 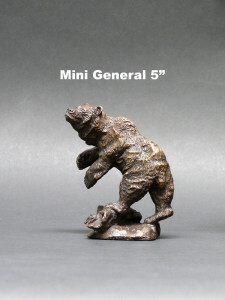 The Mini General is available in bronze or silver or nickel plated and has been presented to Waldorf Scholarship winners.